Inspired by an unexpected act of generosity, Rob Young was inspired to pay it forward. He gave away $100 to ten strangers and brought them together in The Hundred Dollar Club to make their entrepreneurial ambitions a reality. With nothing in common other than a desire to change their life through small business, this book charts the journey of 8 of The Hundred Dollar Club's founder members. You'll be inspired and amazed by what can be achieved with $100, determination and a supportive community. 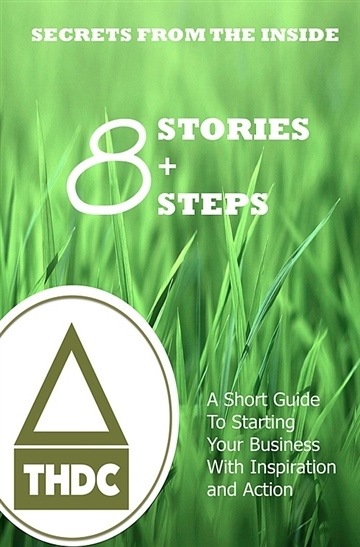 When you're feeling inspired create your own success story, the book lays out 8 steps to create your own successful online business. It's also your ticket to a free membership of The Hundred Dollar Club - Joining instructions enclosed! Rob Young is the founder of The Hundred Dollar Club. A community for people changing their lives through entrepreneurship. He writes about Starting, running and growing a business on TheHundredDollarClub.com and would love to connect on twitter - @therobyoung. You can join The Hundred Dollar Club by clicking the "Official Website" link on this page!